Is The New LOU Board 3.0 All It’s Cracked Up To Be? 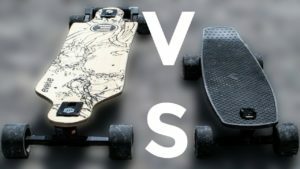 There are many electric skateboards out there, but how do you know which is the best? Don’t worry, we have chosen which one we think stands out. The LOU Board is the best eboard on the market. Even making it on the Top 10 list of Best Electric Skateboards website. Water Resistant – One of the best things about the LOU Board is it’s water resistant rating. It doesn’t matter if it’s raining out or the weather isn’t that desirable, you can count on this electric skateboard to operate just fine. This is one of the reasons people love the LOU Board for commuting purposes. If you live in an area that gets quite a bit of rain, and as long as you’re not planning to ride it through flood waters, then you should be fine. 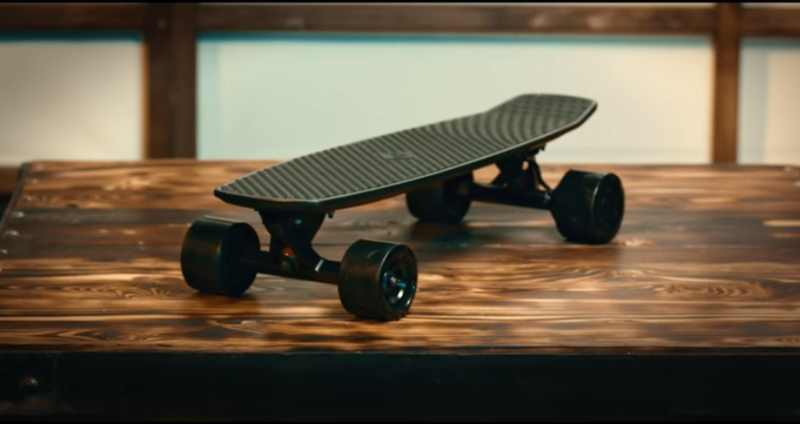 Works Without Power – Another feature that makes the LOU Board the best electric skateboard around is it works without power. There are so many options out there that stop functioning when the battery dies out making for an inconvinient ride. The LOU Board was built with this in mind, and you can actually continue riding it after the battery has died. This is because it’s equipped with a hub motor, so you don’t actually need the power to use it. What does this mean? It means the fun doesn’t stop when the battery stops. It means you can enjoy a stress-free riding experience. The Battery – The battery life is long, so you can enjoy using the board for a long time. Furthermore, you only have to leave the battery on charge for two hours. It doesn’t take long at all for the battery to reach full charge. If that wasn’t impressive enough, there’s a hidden battery. The hidden battery is located right under the board. When the first battery dies out, simply stop and quickly switch it out with the hidden battery. This is one of the best features of the LOU Board and yet another reason for it being the best electric skateboard on the market. Lightweight & Portable – The LOU Board is very light and you shouldn’t have a problem carrying it around with you. Don’t think just because it’s super light that it isn’t durable. This isn’t the case at all, and you’ll be surprised at just how durable the board is. Not only that, but the LOU Board is portable. It doesn’t matter where you go, the board can go along with you. When it comes to portability and weight, the LOU Board beats all other skateboards out there. The Deck Plates & Wheels – The wheels are replaceable too. You can take off the wheels and replace them at any time of your choosing. The deck plate can be removed and swapped out, too. This means you can change up the look of the LOU Board when you’re in the mood for a change. Speed – Above all else, the best thing about the LOU Board is the speed. It goes over 10 miles-per-hour, which means you can get to places fast. 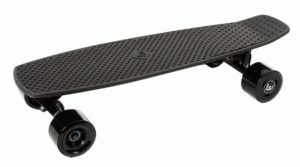 Whether it’s for commuting purposes or just for fun, you will love how fast the LOU Board goes. Don’t worry though because learning how to use it is very easy. If you’re looking for a mode of transportation for commuting purposes, then the LOU Board is perfect for you. The same goes if you’re just looking for a good form of entertainment or if you’re shopping around for a unique gift to give to someone. It doesn’t matter who you are, the chances are you will love using the LOU Board, regardless if you use it regularly or every now and then. However, the chances are once you start using the best electric skateboard on the market, you will use it every single day. The LOU Board is available in three different models, with them being the 1.0, the 2.0 and the 3.0. The first two models both go 17MPH, while the 3.0 tops out at 21MPH. It doesn’t matter which model you buy, you can bet it will last for a long time to come. The LOU Board may seem expensive at first glance, but it’s well worth the price. The cheapest model goes for around $450, while the more expensive ones go for around $800. Do bear in mind that the LOU Board is in a league of its own, and you’ll realize this as soon as you ride it. If you’re looking for the top electric skateboard on the market, then look no further than the LOU Board. As you can see, there are many reasons why this board is superior to all other boards. If you want to find out what makes this the best electric skateboard out there, then order yours today.